Would you prefer a screen hole for the front camera instead of a notch? 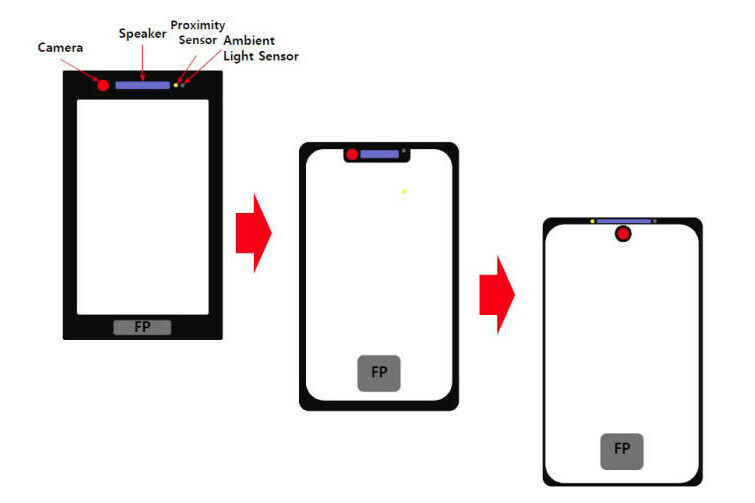 Huawei may be gearing up to release a 6" phone with a hole drilled in its LCD display directly to house a tiny front camera, thus eschewing unsightly notches. That's why we asked you if you would like such a design better as a stopgap solution towards notch-less phones with minimalistic frames, and nearly half of our 1725 respondents are digging it more. About a fifth wouldn't care, and just 30% say it is a worse idea than a notch, indicating that Huawei may be on to something here, and we hope it introduces it with the Mate 20 in the fall. Vivo tries to avoid a notch design with a pop-up front camera on the Nex, Oppo introduced an elaborate slide-out system in the Find X, and Samsung simply opts for a cold, hard bezel there, albeit of the extremely thin variety. Phone makers are trying to solve the notch-or-not conundrum in pretty inventive ways these days, but Huawei might soon one-up them all with an upcoming 6-incher, according to a Korean media report today. Big or small for today's notch-y standards, the top bezel protrusion that houses the speaker and front camera on the Huawei P20 and P20 Pro is still there, and an eyesore for those who hate screen cutouts with passion. So, what do? Well, Huawei may have decided to avoid the subject matter altogether by simply... drilling a tiny hole in the LCD screen of its future phone to place the front camera there, and call it a design day. That'll teach them. The Essential Phone, which essentially pioneered in the West the small top protrusion we started calling a notch since Apple introduced a giant one in the iPhone X, comes to mind. Its top thingy only houses the selfie camera and is very minimalistic. The protrusion still connects with the top bezel, though, so Huawei may have decided to do away with the whole bezel peninsula concept, and take the drill bit to the LCD display directly. No, just no. You're not going to watch movie or play a game with a notch or hole in the display, that area of the display is effectively useless, they need to stop lying to customers and get rid of the notch and holes? FFS. Seems like what essential did with the PH-1. Are folks really so bothered by a quarter inch bezel up top?